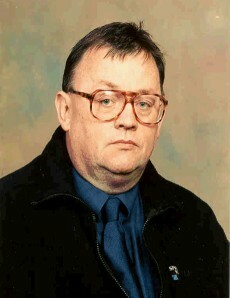 Councillor Terry Kelly: "facts are chiels that winna ding" An SNP truth teller, what next. The protest was organised by Sean Clerkin, who described his group as "anti-austerity campaigners". He told the BBC that details of the event had been passed to him by a disillusioned member of the Labour Party in East Renfrewshire. Anonymous said...Monday, May 04, 2015 7:28:00 p.m. Unrelated to me writing on my blog my wife has just came in to this room 2 minutes ago to tell me that Sturgeon despite stating that the rabble attacking Murphy had nothing to do with the snp has just suspended two SNP members from the party because of their behaviour at the Jim Murphy rally you refer to. If I were you I would get under the bed and pretend I don't exist. Not much chance of you identifying yourself now I suppose?. you labour guys do love selective reporting dont you, you and i know this was an event organised by John McTernan for the benefit of smurfy. who forgot to bring the eggs this time. your party are a laughing stock and one day from virtual non-existence, does it make you weep, shysters like McTernan and Murphy in charge? Did McTernan also organise the SNP thugs who are now suspended from their own party because of their disgusting behaviour at this event? Even by snp standards you are an idiot.